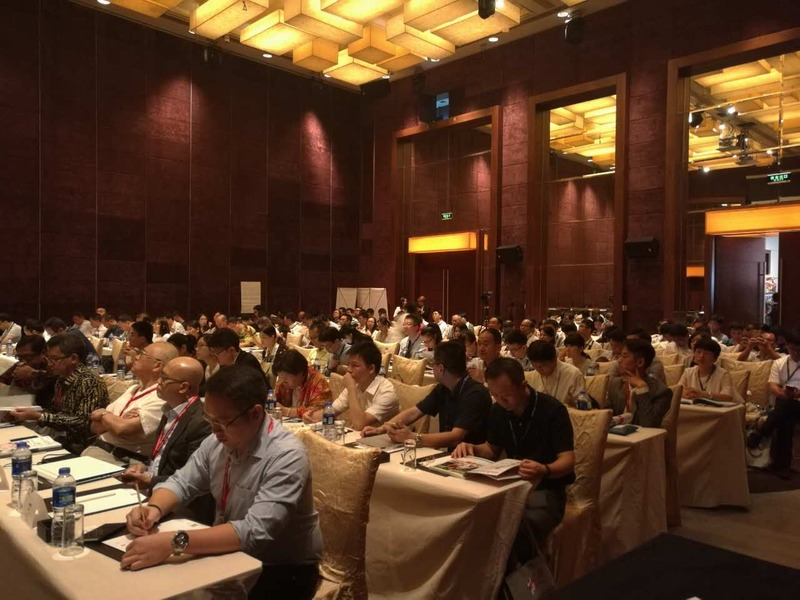 On August 25 and 26, Shanghai Ringier Conference & Exhibition Co. Ltd. and Ringier Trade Media Ltd. organized the 2016 Functional Beverage and Nutritious Food Summit at the Westin Hotel in Guangzhou. CMC participated in this event by delivering a 30-minute presentation on cranberry’s potential application in functional beverages. The presentation reported findings by Innova Market Insight and Mintel which showed the increasing use of natural fruit juices as functional beverages in Europe and the US. The main content, however, focused on the health benefits of consuming cranberry juice, drawing mostly on Dr. Amy Howell’s previous presentation. In addition, a 10-minute brief introduction presentation on US Cranberry was given during tea break. Throughout the two-day event, CMC had a small booth, outside the main conference hall, with backdrop and product display, among about a dozen other participants’ booths. 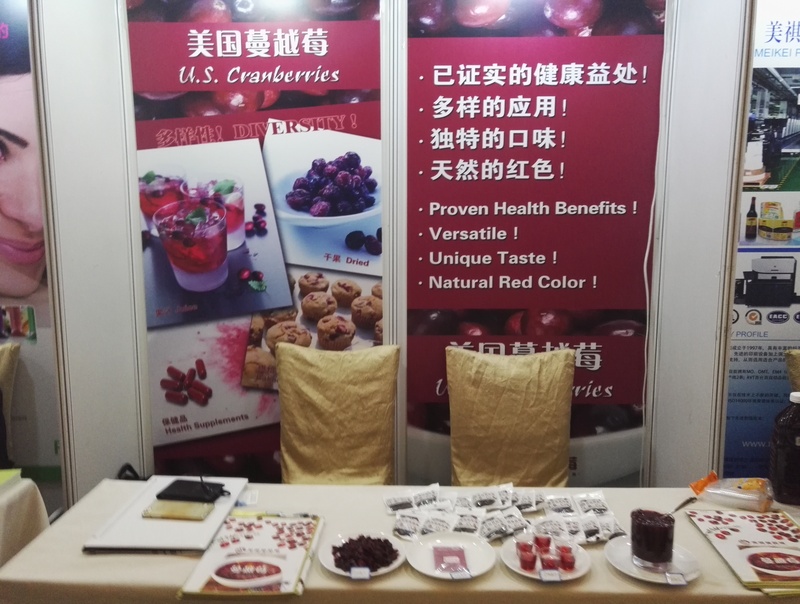 US Cranberry product samples and information flyers were distributed to visitors. Participation in this summit helped enhance the awareness of and liking for US Cranberry among food manufacturers, particularly those in the fast growing health food industry. Many attendees indicated that they had not been aware of the many health benefits of cranberries before listening to the CMC presentations. Several requests for samples were received during the two-day event, including one for cranberry powder by a techno-driven product development company and one for dried cranberries from the big snack foods group – Want-Want (a Taiwanese invested enterprise in Shanghai).